The humble beanie has come a long way from its childish past. No longer just a piece of fashion for skaters and hipsters, the beanie is now becoming a higher fashion statement piece. There are different styles and multiple ways to wear a beanie, for both men and women. We have gathered together some of the best ways of how to wear a beanie with style. 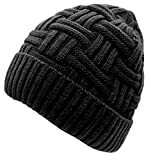 There are different styles of beanies you can mix and match with a variety of hair styles. Before divvying off into the male versus female ways of doing, we’d like to note that the classic beanie look has never gone out of style, and works for both men and women. And all you need is your standard kind of beanie. To do this look, just wear the classic beanie over your forehead at a downward angle towards the back of your head, making sure it covers your ears. This is a simple way of keeping your head warm with a lot of style. For the ladies who love beanies, we have several different styles to recommend for how to wear your beanie, and style hair to work with your beanie. One method is to wear your beanie and have your hair down naturally. The great thing about this choice is that you don’t have to worry about any kind of styling issue when you take your beanie off. Your hair is natural and is ready no matter what. If you are looking to have your hair put up while wearing your beanie, one great way is a loose side braid, a double braid or fishtail braid. This is a great option for days when you are expecting storms and wind. This is also another style that when you take your beanie off there is minimum muss and fuss, all you need to do is untie your braid and you can comb your hair to have natural looking waves. If you wear your hair with bangs, then you’re in luck because there are tons of options for being stylish with your beanie. First, you can sweep your bangs to one side and let them peek from the front of the beanie. Or, if you have full bangs, you can wear the beanie back a bit on your head so that the bangs hang down loosely on your forehead with fullness and body. Finally, if you are having trouble with your bangs when you wear your beanie, just try pushing them back under the beanie so that they are not visible. That cute beanie will cover up a multitude of troubles. An option for the lady wanting to show off her hair while wearing her beanie is the front braid. Position the braid across your forehead and then slide a beanie on top. One of the easiest hair styles to wear a beanie with is short hair. All you need to do is slide the beanie on and you’re ready to go. If you’ve got bangs, though, you can style these with your beanie, which will only take an extra few seconds to add tons of personality to your look. Crocheted beanies make it possible to display your ponytail. You just have to put on your beanie, then pull your ponytail out through one of the larger openings in the pattern. This helps keep both your hair and your beanie in place. If you like pigtails, then it’s great to combine them with a beanie. Make sure you part your hair down the middle with your pigtails on your shoulders and then pull on your hat. 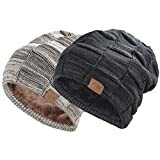 How to wear a beanie for your particular face shape, coloring, and sense of style, will be effected by the types of beanies available where you shop. Some beanies are closely cropped, while others can be a bit slouchier. Slouchy styles are perfect for working a cool off-duty look. Wear them pushed pack on your head with the back of the beanie loose and left to ‘slouch’. If you own a beanie that is of the slouchier and longer style and you desire a closer fit, all you need to do is fold the beanie. Another way of wearing that slouchy beanie is to roll is up so that it sits high on your head. In order to complete the look, all you need to do is wear your hair down and out over your ear. If you want to make your own beanie, to make sure you get just the right color and style, look online for tutorials. You can find patterns for crocheted beanies, fleece beanies, knit beanies, and a ton of others. There are tons of styles of beanies for men. There also many ways for guys to wear beanies. How a guy wears his beanie is as much of a fashion statement as his clothes and how he is carrying himself. We’ve collected some ideas for you to help you figure out your look this winter. Cuff Beanies are considered the classic look for beanies. 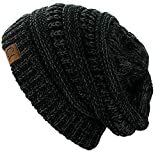 It is one of the most popular and trendy types of beanies. It has extra knitted material along the bottom. You can wear these with your bangs showing, or pulled close with all of your hair tucked in. 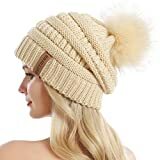 Bobble Beanies are a fun and childlike beanie with a pompom on top. 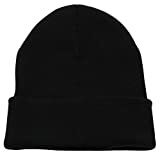 These types of beanies are worn in a way that covers the ears but is still high up on the forehead. This allows you to not only stay warm in winter but be stylish. Fisherman Beanies have a solid and traditional look to them. It has a turned look and sits on the top of the head and ends just above the ear. Some have called this look the Steve Zissou after The Life Aquatic in which Bill Murray and Owen Wilson show off the style. This look has become one of the main classics for the hipster lifestyle. Roll or cuff twice for the most drastic look. You can wear it far back to best show off your hair from underneath. High Top beanies are a style worn more for fashion than their warmth qualities. They look great, but honestly won’t keep you that warm, so plan on these for warmer winter days. Slouch Beanies are a bit larger than other beanies. The extra material is what gives them their name. These beanies are some of the most fashionable of our time that provide a laid back, yet classy look. These beanies are worn high on the forehead and up above the ears. To help you choose the right beanie this winter, review these tips. Make sure that you try the beanie on before your purchase it. They tend to run smaller than they look, and a beanie that’s too small will constantly pop off your head and leave you in the cold. Both sunglasses and regular corrective lenses pair together well with beanies with no problem. In fact, if you look at most catalogues and fashion articles, men are pairing these constantly for a classy, “geek chic” kind of look. Geeks are hot, so why not celebrate it? Headphones and beanies always mix well. When you wear your beanie, you can put the headphones over the beanie or you can put the beanie over the headphones. Either way can be worn with style and confidence, which is what you need to carry off any kind of look. Regardless of how long your hair is – or isn’t – a beanie can complement the look. We have advice for different types of hair. Beanies made of thin, close fitting material are best for the right look. Curly hair means thick hair, usually, so look for a loose knit beanie that’s spacious. A slim fit beanie looks best with long hair on men. Just make sure you style your hair before putting on your beanie, and double checking the look before heading out the door. Your beanie says a ton about you: your sense of style, your attitude, your personality. So be sure to look for the right beanie for your winter look. Be sure to style your hair accordingly, match the beanie to your coat, and don’t be afraid to wear your glasses or shades all winter long.